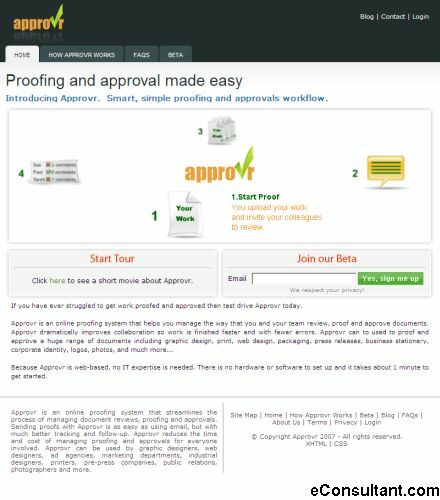 Description : Approvr has created a web-based Approval Workflow Manager to give users a faster, more efficient way to manage proofing and approval of documents. Approvr’s simple workflow allows organisers to quickly send documents for approval, and reviewers to easily review and comment on those documents. Approvr brings simplicity and ease-of-use to a traditionally difficult and time-consuming process.